Has your outdoor space realized its full potential? Or is there something you want to improve, get more use out of? Is there a corner of the yard that could use a little transforming? Transformations don't have to be grand to be effective. Here are ten projects, ranging in size, that will add function, provide a pop of style, or completely change the look of your outdoor space. Plant a garden. 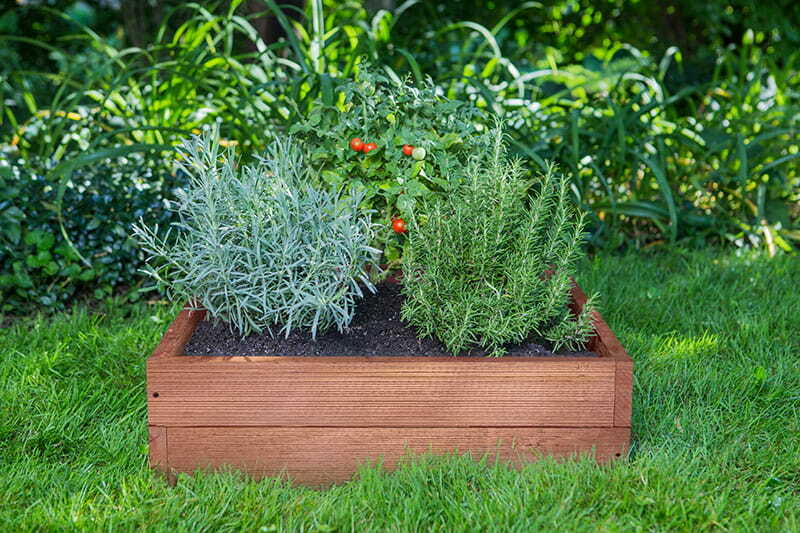 Transform an underutilized section of your yard into a thriving garden producing a steady crop of fruits, vegetables and herbs all summer long. 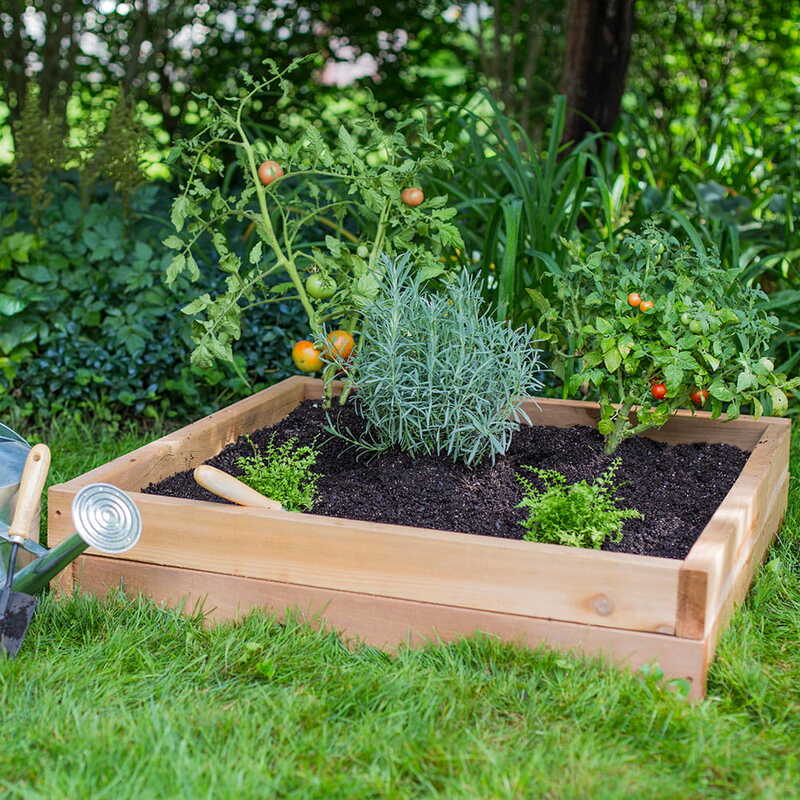 If your soil is rocky or isn't ideal for gardening, consider a raised garden bed or planter and fill it with the soil of your choice. 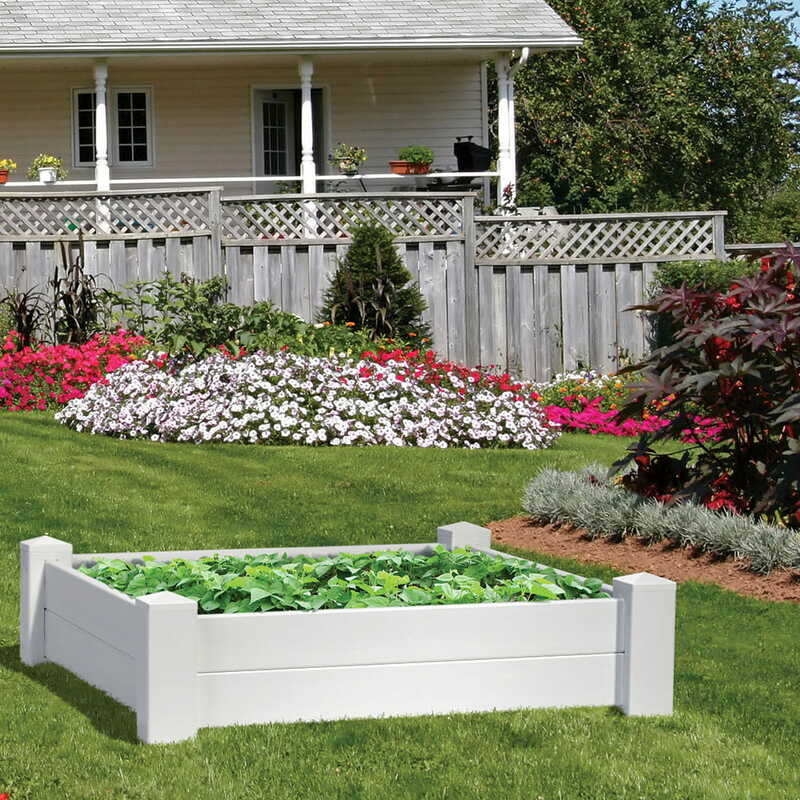 And starting a garden may be easier than you think - many raised garden beds and elevated garden planters come in easy, DIY-friendly kits. Paint or stain your fence. Paint or stain and a little elbow grease can do wonders for a wood fence, especially if the fence is showing its age. Even gray and weathered fences can be refreshed with some cleaning and application of a finish. You can apply paint, stain or sealer to your fence. Not sure which finish is best for your application? Check out our blog post on the topic. Upgrade your landscape beds. Plant new perennials, spread a fresh layer of mulch and add dimension with landscape rocks or stepping stones. Consider using hollow, artificial landscape rocks - they are more economical than real ones and you can move them around without any heavy equipment. Not sure how to landscape with artificial rocks? Here are a few tips. Build a fence. Give yourself the privacy you crave and be confident your kids or pets are safe in your yard by building a privacy or spaced picket fence. When it comes to fences, there are a variety of material options, styles and installation methods to choose from. Not sure where to get started? Check out our posts under our Wood Fence category page for helpful tips, tricks and inspiration. We also wrote a helpful post for beginners on how to survive your first fence install. Add privacy to your deck or patio. You don't need to build a fence around your entire yard to create a retreat from the outside world. Give yourself privacy by adding screens, tall shrubs or fence panels around your deck or patio. Projects don't have to be big to make a big impact. 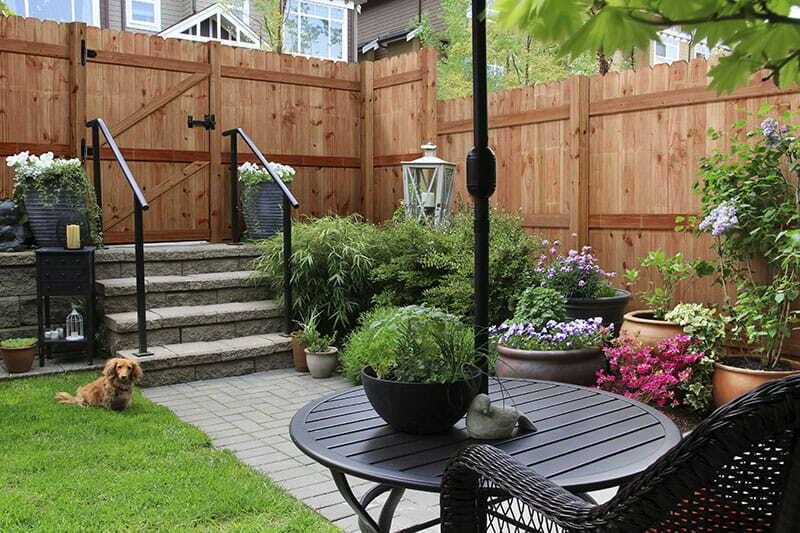 Here are six other ways to improve your outdoor space with just one or two fence panels. 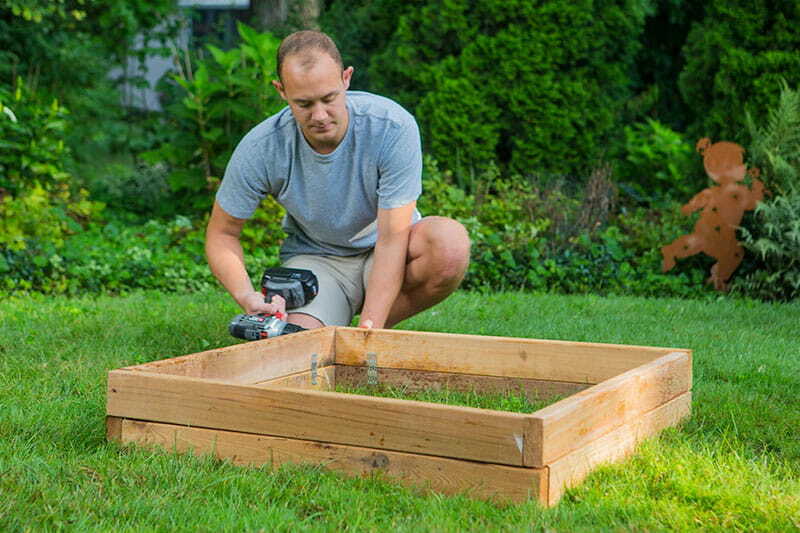 Build a sandbox for your kids. Convert an unused corner of your yard into a beach-like play space for your kids. All it takes is a flat area, some landscape timbers or lumber and a few bags of play sand. 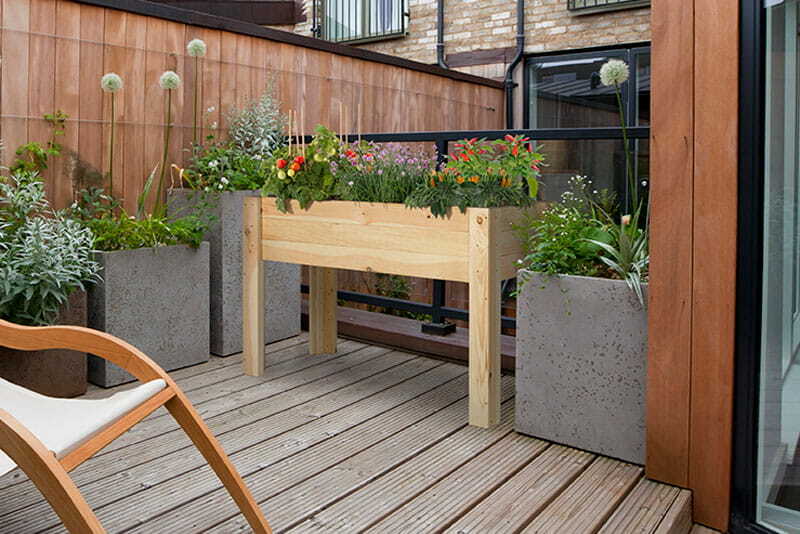 You can also use those timbers to border flower beds or build raised garden beds. Looking for a kid-friendly project that's not so sandy? Consider building a fairy garden. Spruce up your curb appeal. Curb appeal projects range in size and impact. Looking for smaller project ideas? Paint your front door, install a new mailbox post or update your address numbers. Want to take on something bigger? Add a low-maintenance white picket fence or build a pergola. Add color and texture. Place stepping stones in a bare landscape bed or add trellises with climbing flowers in front of a blank wall - simple projects that make a big impact. Add outdoor seating. Game nights, barbecues, birthday parties and more - there are plenty of gatherings to take outside when the weather's nice. If you're short on seating, purchase an outdoor dining set or build a new picnic table. If you already have a picnic table, give it a new look and customize it with paint or stain. Cover up eyesores in your yard. Whether it's that HVAC unit on the side of your house, that metal utility box in your yard, that wellhead or sewer cleanout - you're probably tired of seeing it but you can't get rid of it. Luckily, there are ways to conceal it! Hide that HVAC unit with an accent fence or cover lower-to-the-ground eyesores with hollow, artificial rocks. Find a project you're going to try this year? Let us know! And sign up for our email newsletter to get more tips, tricks and inspiration right to your inbox.